We offer a made-to-order collection available in Australian sizes 6 through to 16. Our garments have been constructed with the following sizing chart that is custom to our label. Skirt lengths are available to order in Standard or Tall. This measurement is from top of centre-front waistband to hem. All garments have been made with an easy-to-alter design and provide a fuss-free fit. Some pieces are only available in standard length and will note on description page. 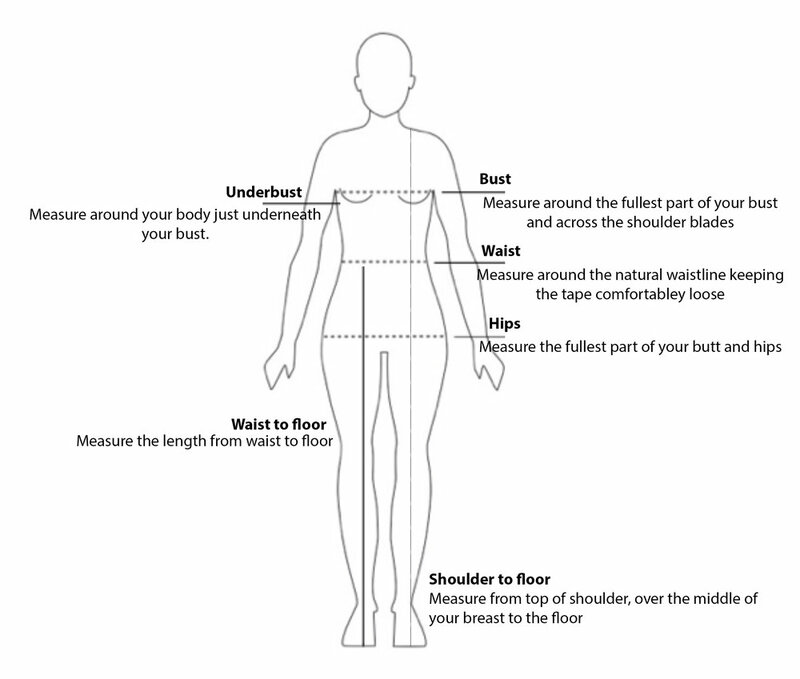 Measure in centimetres, the specific areas of your body, shown on the chart. When deciding on a length, do factor in your heel height. We recommend a friend or professional to take your body measurements. Tall? If your shoulder to floor measurement (without shoes) is greater than 156cm, and you are wanting to wear a gown, you will require a tall version. Please email us directly to order. In between sizes? We suggest to go bigger as it is always easier to nip pieces in. Unsure of your size? Please send us your sizing and we will gladly find the perfect Lola Varma size for you.